Christmas and New Year is the perfect time to escape to warmer climes. For many the Hawaiian Islands may be seen as a ‘fly and flop’ destination, used solely for the purpose of relaxing on the beach, exotic libation in hand. But Hawaii is much more than that. It has a colourful Polynesian culture and some of the most stunning and unique landscapes on earth. Each island is distinct, so simply spending a week on Maui or Oahu is not doing it justice. Arriving by private jet on ‘The Big Island’, we’ll secure the private home where President Obama chose to take residence during his last visit, fully staffed and prepared to your specifications of course. Spend the next few days soaring above active volcanoes with a top Volcanologist, snorkelling with manta rays in luminescent waters, and enjoying behind the scenes access to the Mauna Kea observatory for some of the world’s most impressive stargazing. We’ll then whisk you by helicopter across to Lanai where we’ve reserved the Alii Royal Suite at the newly renovated Four Seasons, possibly one of the country’s finest accommodations. Embark on a scavenger hunt, scouring the island’s back roads by Jeep, rounded off with a private Luau. Or perhaps head out on a deep sea fishing expedition and turn your freshly caught Pacific Ahi into traditional Poke with a notable Hawaiian chef. We’ll also arrange an exclusive ‘amazing race’ on Maui with your own SUV’s. We’ll set up road blocks, detours and tasks to add some fun and competitive spirit to your experience. Next you’ll head over to Maui aboard your private 58 foot yacht, searching for whales, pods of dolphins or even whale sharks along the way. We’ll team you up with a professional marine biologist and documentary filmmaker, and have a spotting team tracking the wildlife on a light aircraft above, maximising your chances of that magical encounter. You’ll land at several hidden beaches’ only accessible by boat, where we’ll select one extra special site for a private picnic before continuing your voyage. We have also arranged your own personalised Makahiki Games. This is an ancient Hawaiian festival that was celebrated in honour of the god Lono and of the bounty of the land. Today you’ll learn some of the Makahiki Warrior Games of Old Hawaii and immerse yourself in the rich Polynesian culture. You’ll enjoy an outrigger canoe adventure with a professional team, and even take to your own private submersible to explore the incredible world beneath the waves. 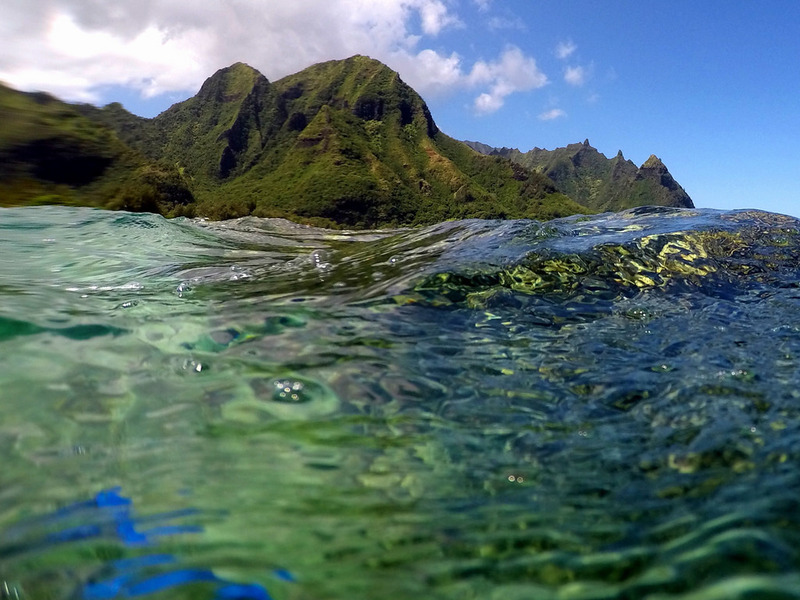 We’ll then introduce you to lush, green Kauai and its jaw dropping Napali Coast. After your helicopter lands you at a private ranch, your guides will greet you and take a short drive down to the base of the river where your journey begins. You’ll start out with a 2 mile paddle, enjoying the beauty and solitude of the surrounding National Wildlife Refuge. Then, hike lush jungle trails through a fern-covered valley to secluded pools and waterfalls. Afterwards, get kitted up and embark on a zip wiring adventure, soaring over ravines, between massive trees, gliding along as you explore the rugged terrain. End with a zip line that leads you into an idyllic deep waterfall pool, the perfect spot for swimming, jumping, tube floating or just plain relaxing in paradise. Finally, board your high speed, specially adapted motorised raft for a thrilling race along this jaw dropping stretch of coastline, perhaps one of the world’s most spectacular. Round off your Hawaiian adventure by joining a famous Ukulele player for a lesson, and design your own customised Ukuleles which we’ll have shipped back to your home.the journey isn’t over just yet. Fly across to Honolulu for one final twist – explore the North Shore with a pro surfer and spend your last day riding the waves. Then join a notable movie producer to get to see where over 50 of Hollywood’s biggest blockbuster movies and TV shows were filmed. Spot the infamous Jurassic Park fallen tree, find Godzilla’s footprints, see the Windtalkers battle grounds and the site of the famous “penguin” road scene from 50 First Dates, the house structure from Mighty Joe Young, and numerous locations from Hawaii Five-0 and LOST. Your thirst for adventure should be suitably satisfied by the time we deliver you to the door of your private jet for your journey home.